What I found interesting about this interview clip is the claims this guy made regarding Julian Assanges request for 1M to interview him OR collecting and sharing intel on all the others he interviews? Really? I just had to post this because it truly does reveal we must reserve “judgement” on who is REALLY behind the curtain running this show…it also gets back to wellaware1.com where they have demonstrated his biometrics prove he is someone other than who he says he is…an actor. 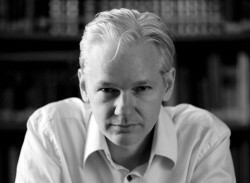 What is confusing for many is the message of Julian is extrememly appealing for all to hear. SO who is providing him his lines? One only knows.-A.M.